NicePeopleAtWork is a business intelligence company based in Barcelona and New York serving the online media industry and offering B2B products for the management of multimedia contents online. Its main product in 2012 was Nice264 Online VIdeo Platform, used by companies like Wuaki TV, Antena 3, Gol TV among many others, in order to manage content and stream it across the internet. I worked side by side with the executives and the developing team at NPAW to design all the new brand identity of Nice264 OVP and to redesign the existing online platform, improving the UX and UI of the product. The strongest visual references for describing the company were identified in the in the audio and video imaginary. A special emphasis was placed in finding the right balance between an iconic and exuberant language, which was characteristic of NicePeopleAtWork’s culture, and the rigor required for a highly technological, B2B oriented, business. For the logo design we focused on the characteristic triangular shape of the “play” function and we worked on it until we found the perfect solution to let it be implicitly recognizable while also adding a dinamic and multidimensional look that could portray well the power of product. We decided to accompany the logo with dark backgrounds to provide the mood of video and screen interfaces, and chose Century Gothic typeface to provide a technological and elegant language to all the visual communication. 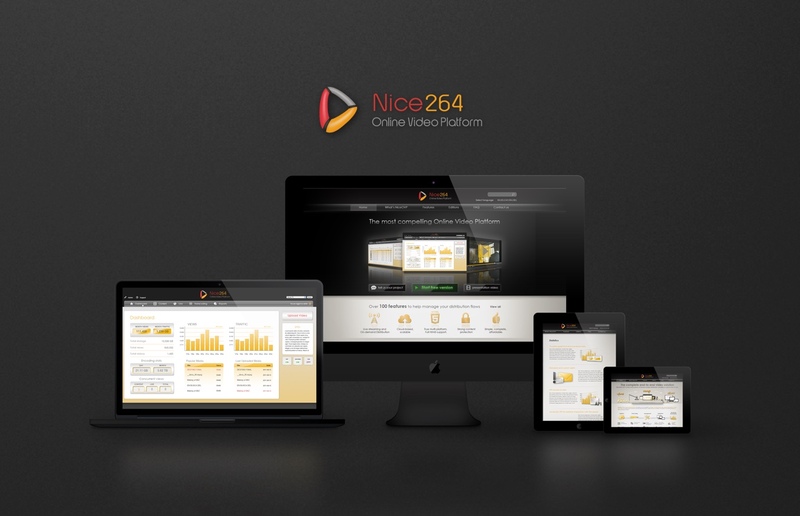 The core of Nice264 OVP, is a web based application, where terabytes of videos are continuously uploaded, managed, edited and controlled by client leading companies in the online media field. I’ve been asked to redesign the existing platform, improving the UI and UX and bridging the gap between the existing product and company’s new identity. I’ve redesigned all the pages, creating a more easy to understand information hierarchy, customized interactive infographics along with an improved search engine, that dramatically speeded up content finding and editing. The number of graphic elements and pages were consistently reduced and conformed between one and the other, so that the overall user experience would require a lighter cognitive effort, while providing a more intuitive workflow. In order to design the promotional channel of the product, a compelling work of organization and strategy had to be done. I worked with the team of NicePeopleAtWork to select, gather and illustrate platform features and service’s selling points. For the website we adopted a 4 main pages solution where information can be easily accessed. 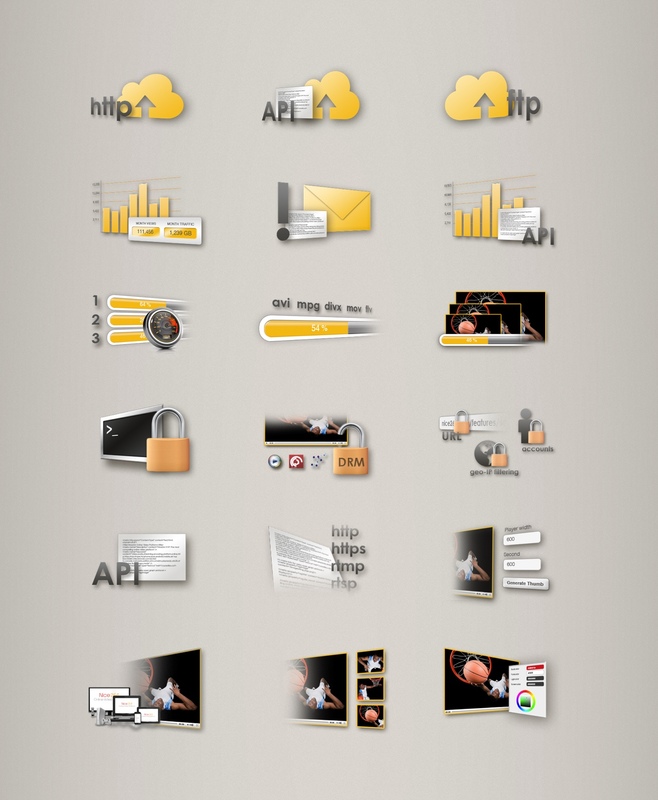 Achieving clarity and simplicity had been possible thanks to the creation of custom iconsets, illustrations and infographics useful to communicate informations visually. Images are definitely more powerful than words, especially when you have to communicate a lot of technical informations and features.